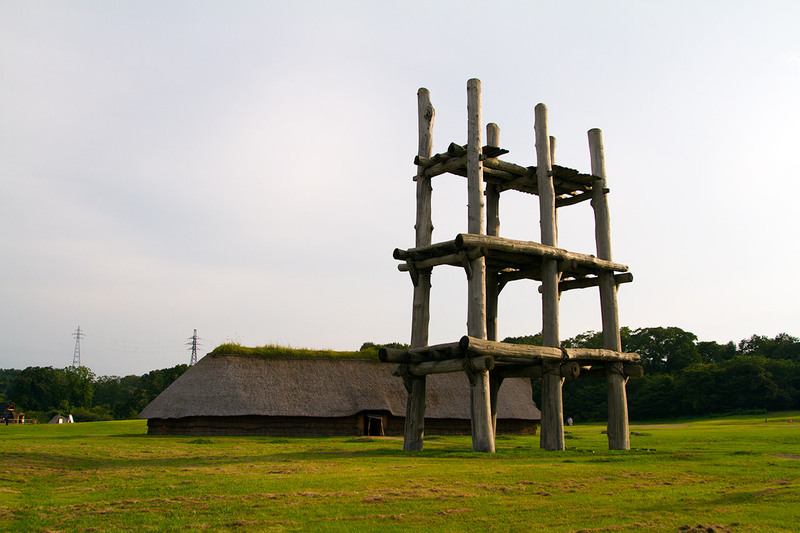 Right next to the Aomori Museum of Art is something a little more historic: The Sannai-Maruyama Historical Site. 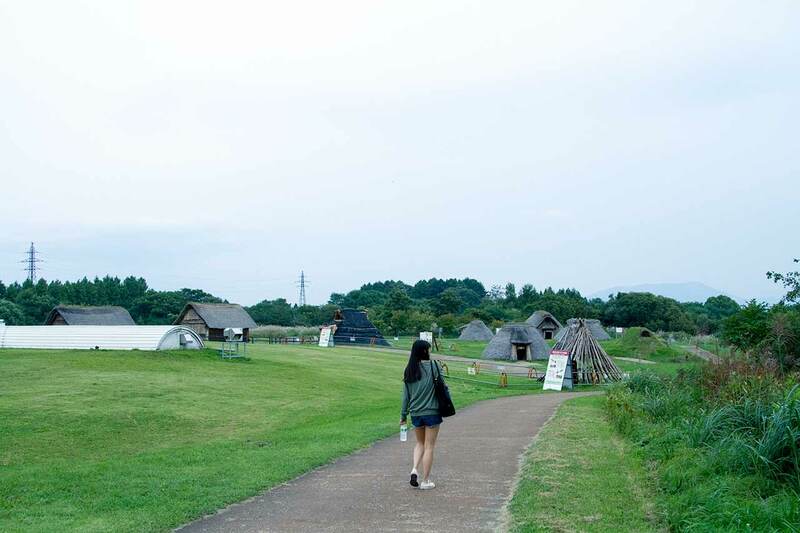 Basically, this is the grounds for a large Jomon village, with a museum, reconstructed buildings, and the opportunity to see what it kind of looked like when they were doing their archaeological dig after discovering this place. Really, though, there are two things to see here. 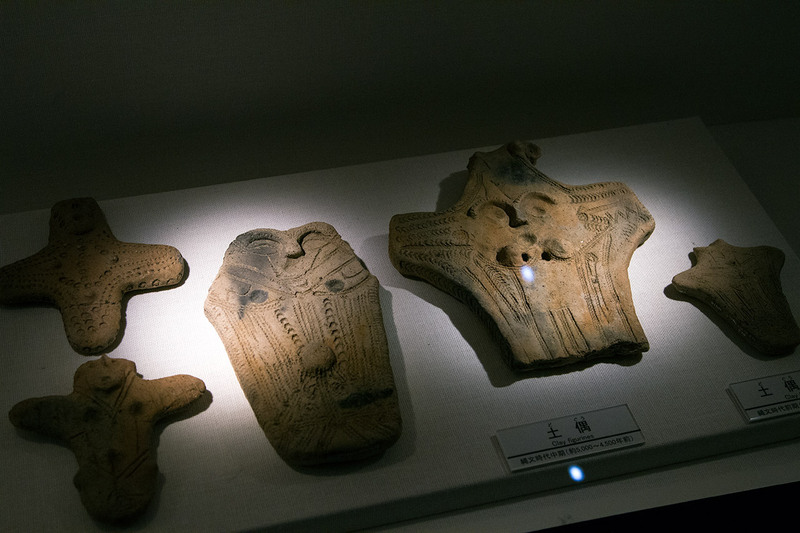 First is the Jomon Jiyukan (Jomon Museum) and second is the Sannai-Maruyama Iseki (Sannai-Maruyama Archaeological Site). They're just sides of the same coin, though, and should be viewed together. 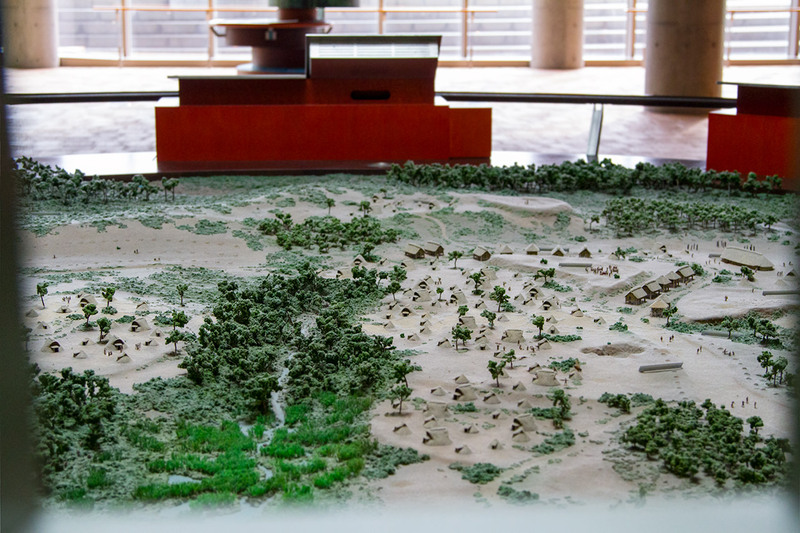 The Sannai-Maruyama Archaeological Site was where I went first, though the opposite order would have been fine too. 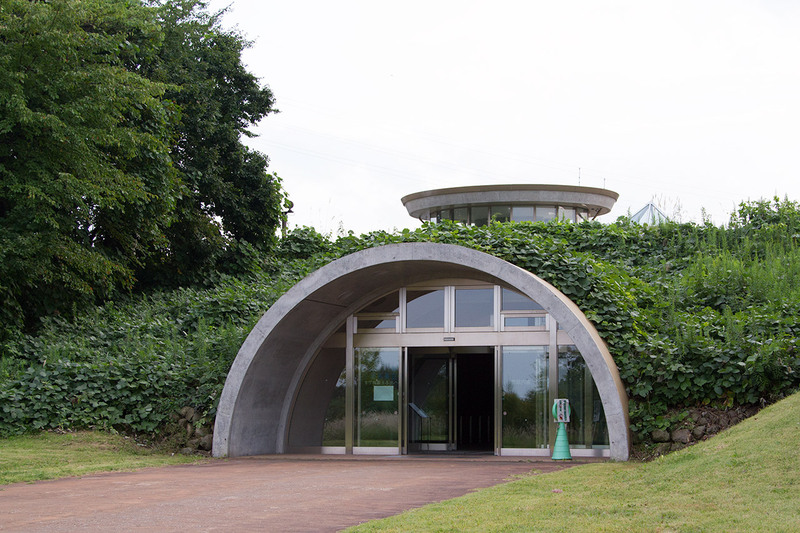 Essentially this is a big grassy field filled with Jomon-style buildings (or at least what archaeologists presume look like Jomon-style buildings), some white domes, and this thing… though we'll jump back to that later. This whole area was the site of an archaeological dig that started in 1992. 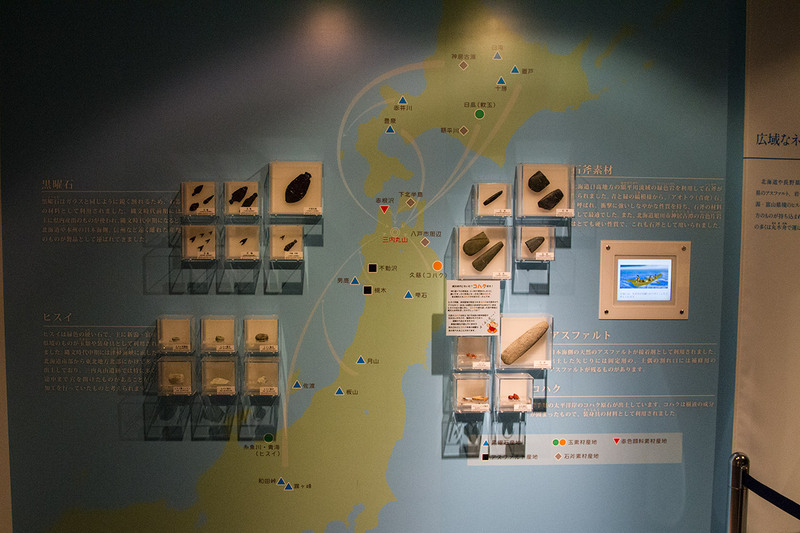 In 2000 it was turned into a historical site by the Japanese government. 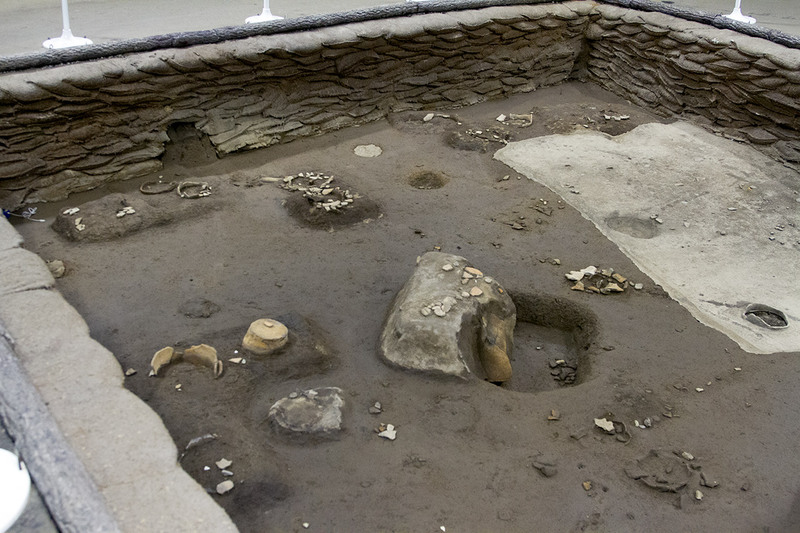 Archaeologists unearthed pit-dwellings, burial pits for adults, burial jars for children, mounds, the remains of pillar-supported buildings, storate pits, clay mining pits, and the remains of roads (source). 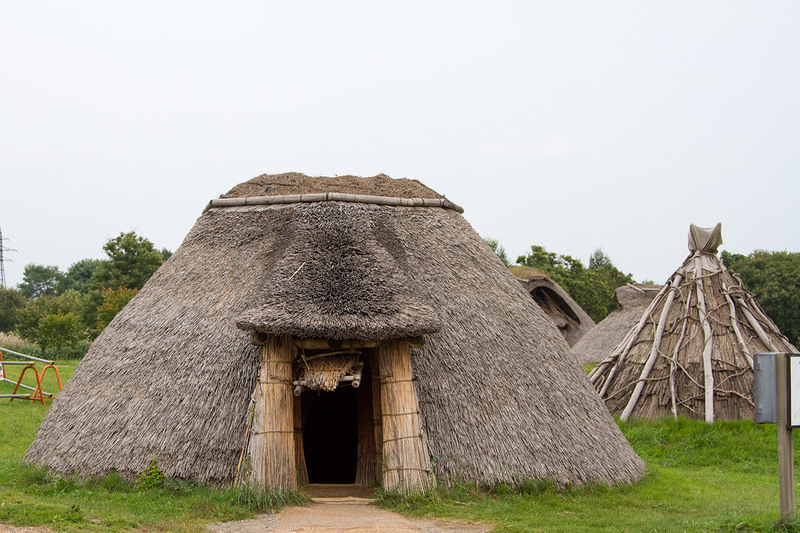 These things were built and made around 5500-4000 years ago, which is a long, long time. 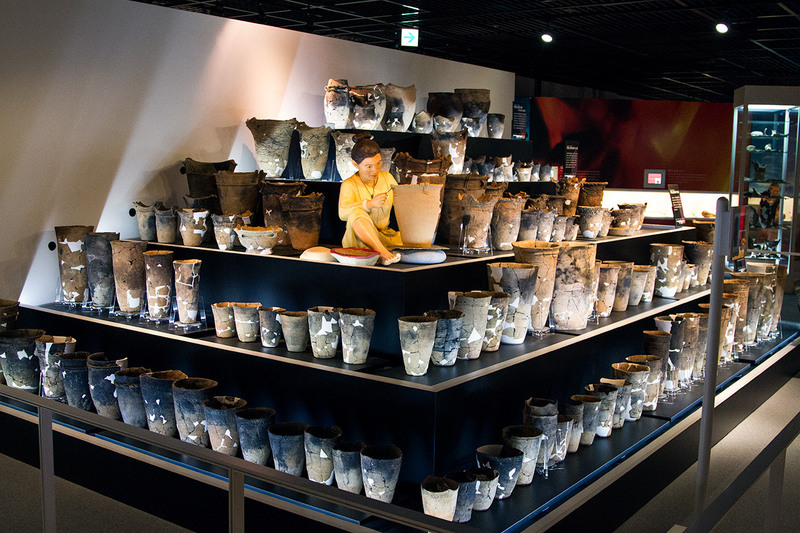 In fact, the Jomon were the first people in the world to discover pottery (that we know of), and all of the pottery in the preserved archaeological dig domes really kept pounding this fact home. 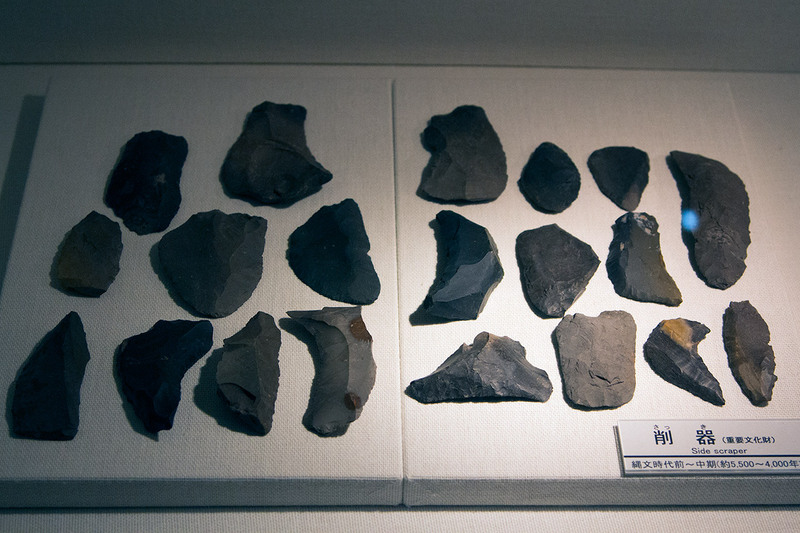 It wasn't just pottery and buildings and mounds though. 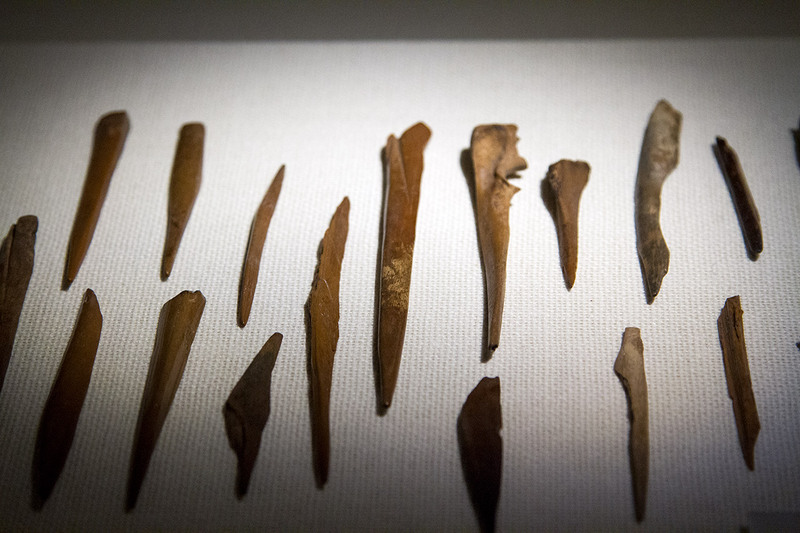 They also found stone artifacts, clay figures, earthenware, stoneware, woodware, lacquerware, bone tools, woven baskets, and woven clothes. 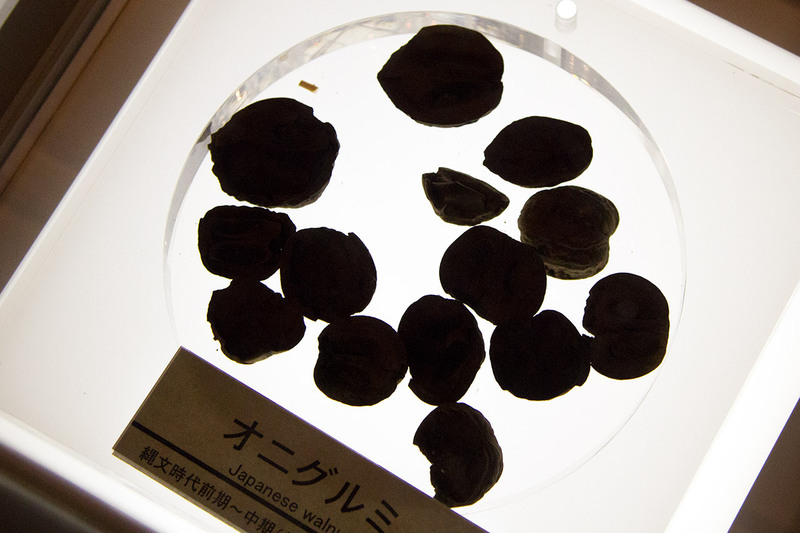 Even obsidian was found, which had to have been brought from far off regions. The most impressive to me was the structures, though. 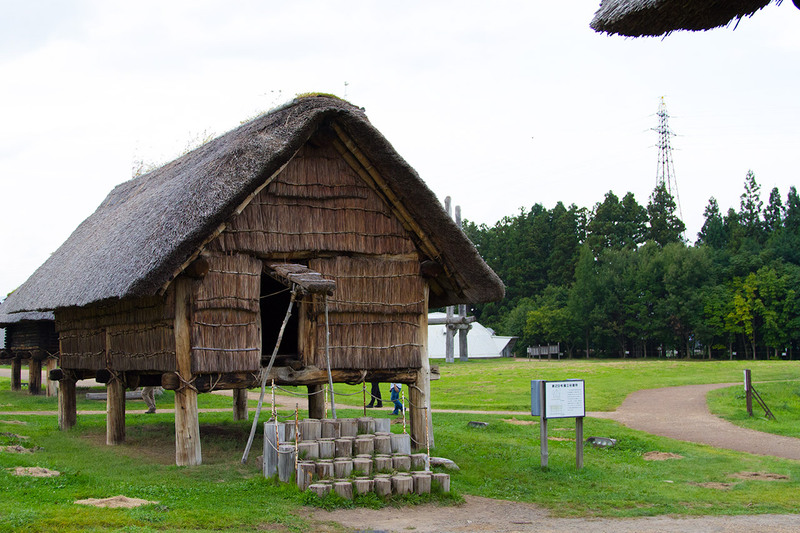 Over 700 structures were discovered, which means that this was a pretty large village, especially when you consider how nomadic the Jomon supposedly were. 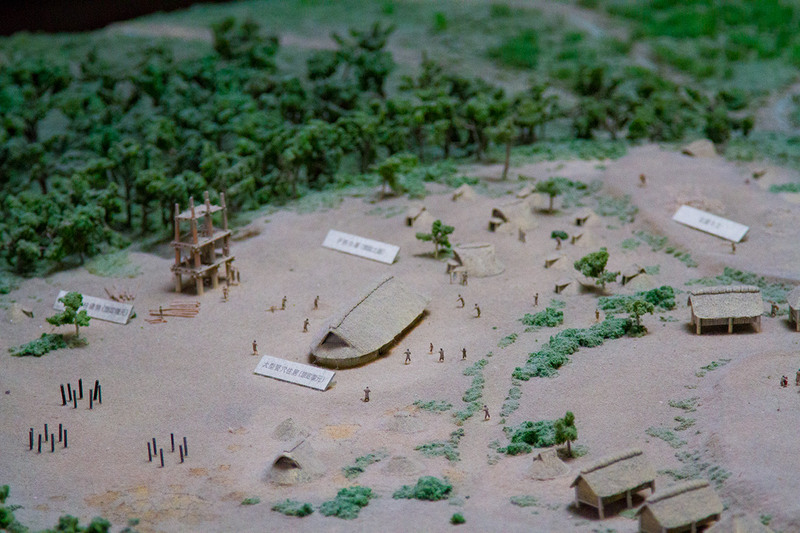 This was a large, permanent settlement, up to 3000 years before we reset our calendars to 0 AD. 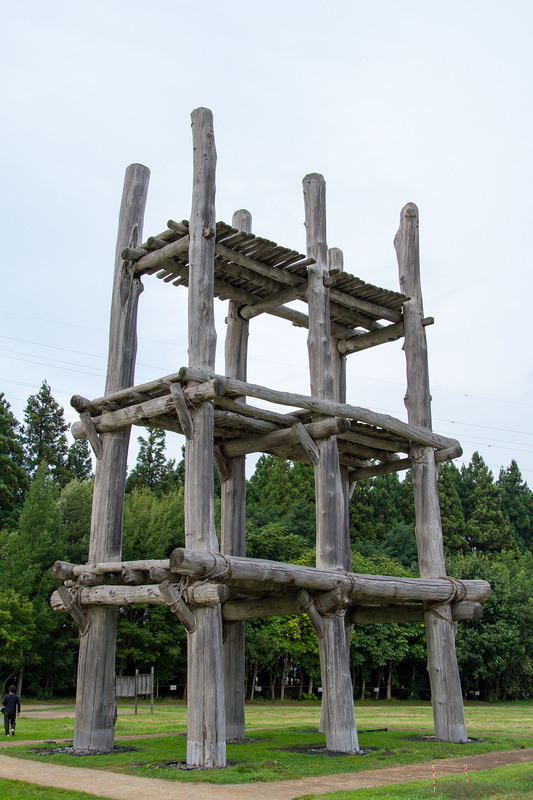 Then you run into some more complicated pillar supported structures. 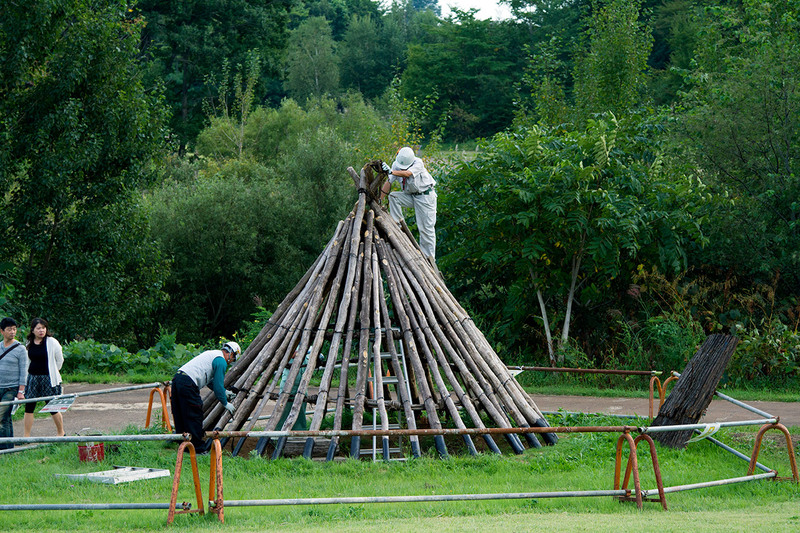 We also saw some people building the structures. And then you run into the really, really big structures where you wonder… "how did someone from 5,000 years ago make this?" That reminds me… what's that huge pillar structure and how in the world did they manage to build that without modern machinery? Some would say aliens… and you may agree should you see the enormity of that pillar structure up close… but what was that pillar structure for? 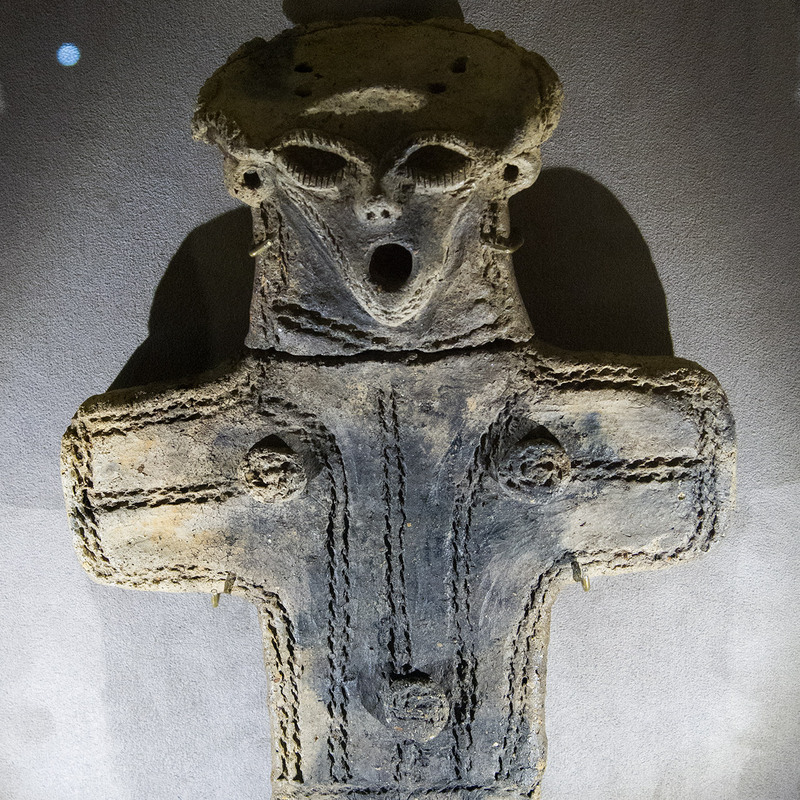 The people at the archaeological site weren't all that sure either. There are some theories, though, ranging from shrine, to watch tower, to lighthouse, to something that will let you know the seasons. The one you see in the image above is just a replica, though. 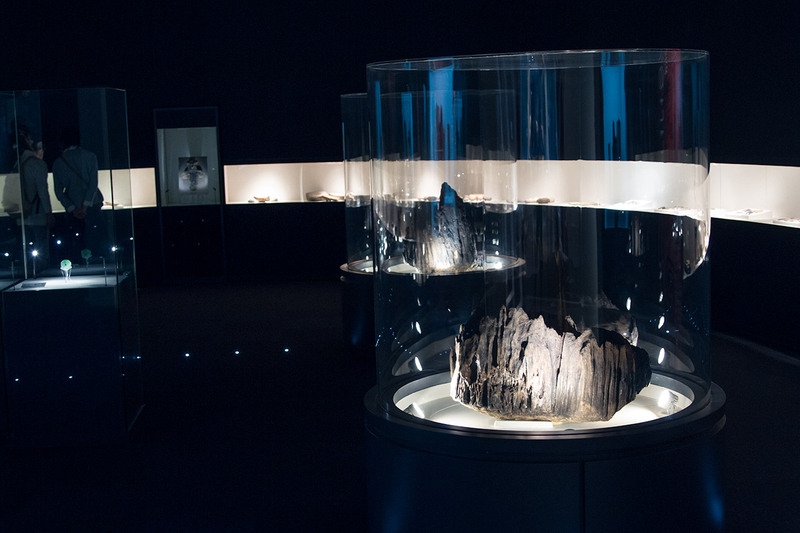 The original is long gone, though parts of the pillars were preserved underground and you can see them now in the museum. Speaking of the museum, that's where we went next. We entered through this aluminum hobbit hole and came upon a model of what we just saw. I guess we should have done this in the other order, but no matter. 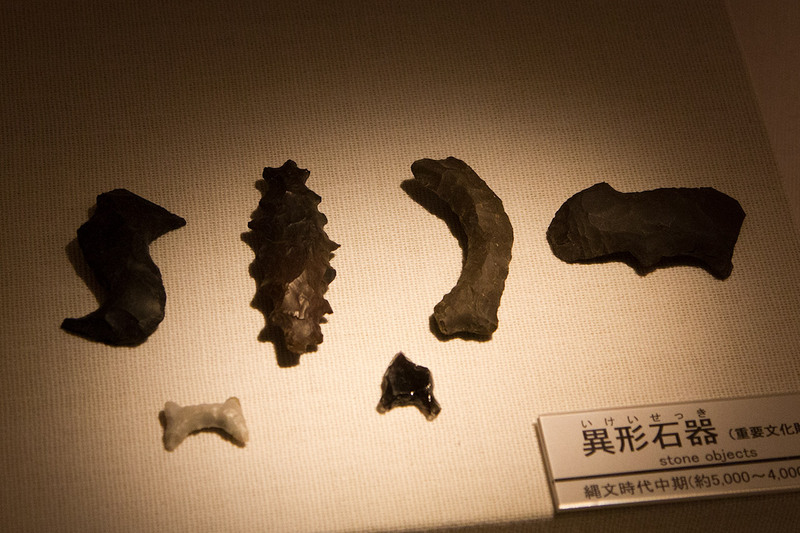 There was a lot to see, and what they had on display was only a small fraction. 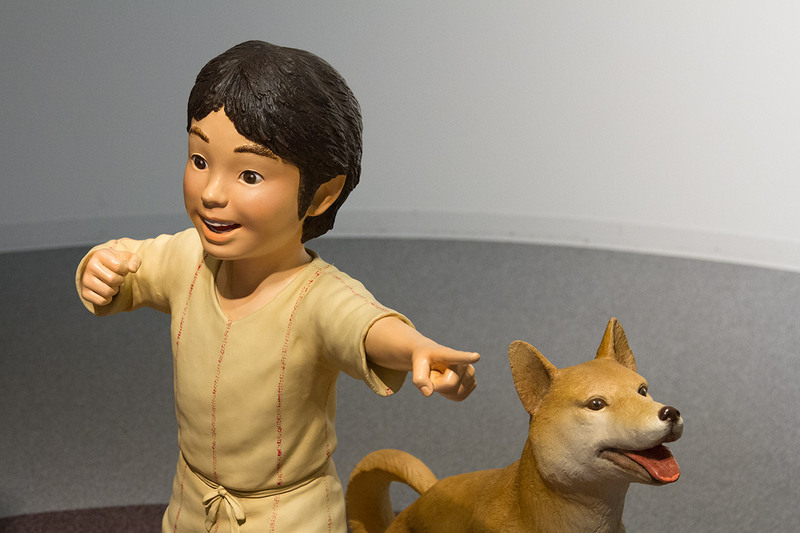 They even had a perfectly preserved Jomon boy and his dog. So eerie how real it looked. 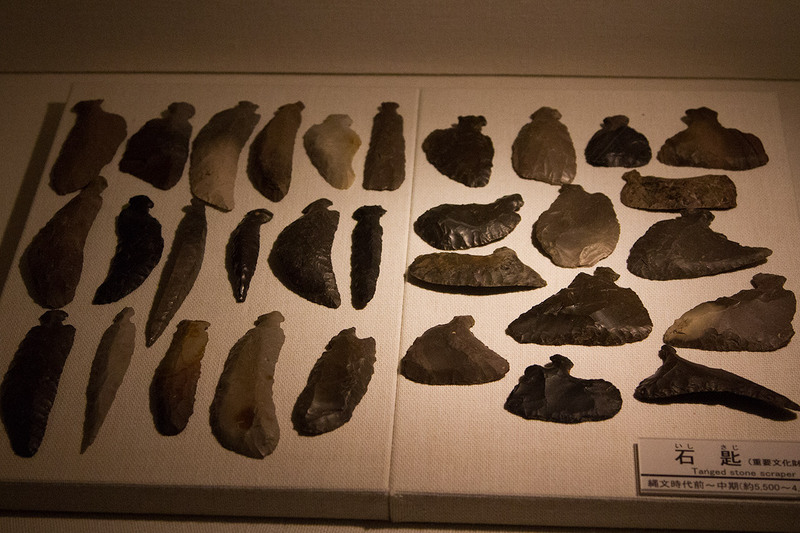 One thing that I thought was infinitely interesting was how some of these archaeological digs were treated like a tourist attraction. 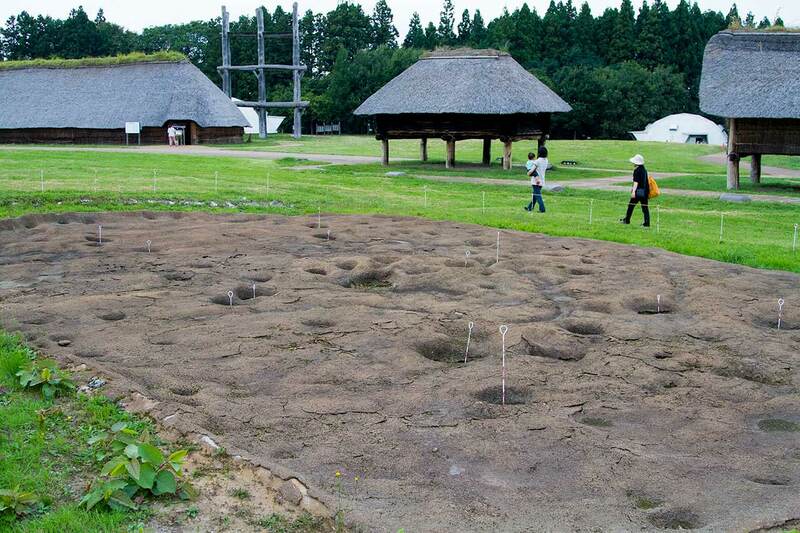 Funding for archaeology is much higher in Japan compared to America, and when they dig they don't just take a few random squares, they dig just about everything. It's much more thorough, it's a bigger deal, and afterwards (at least in the case of this place) people come out to see it long after everything's been dug up. 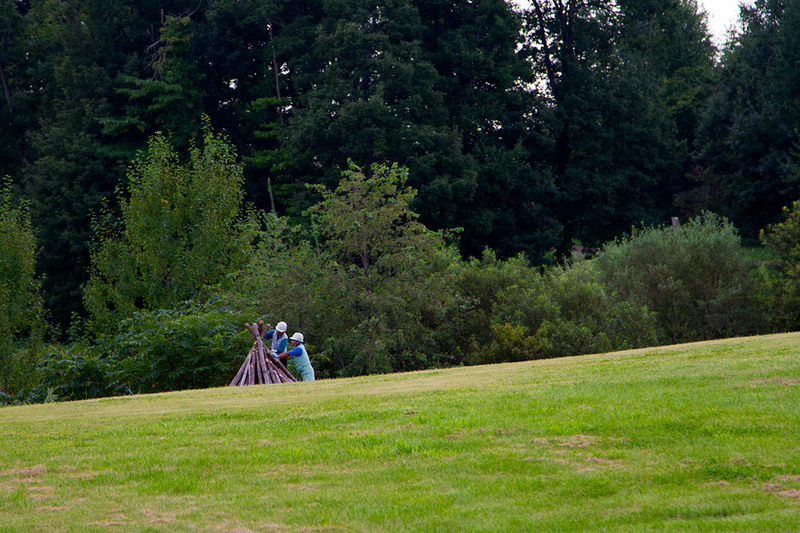 You certainly don't see that with many (or any) American archaeological digs of native American sites. While I don't think I would come out here just to see the Jomon historical site on its own, if you are in Aomori and you happen to be going to the Aomori Art Museum, it's worth a stop by. 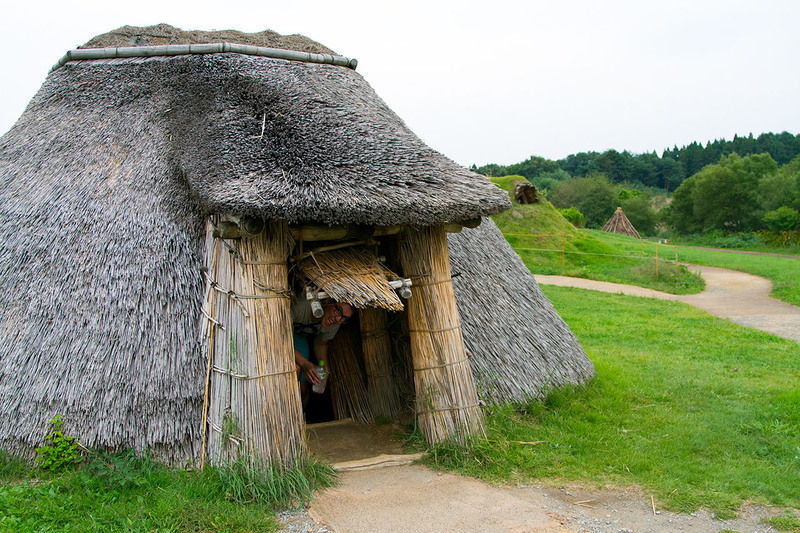 If you're not interested in archaeology and ancient peoples, then a stroll outside through the Jomon village is pretty nice on its own. The weird pillar structure is pretty impressive too. 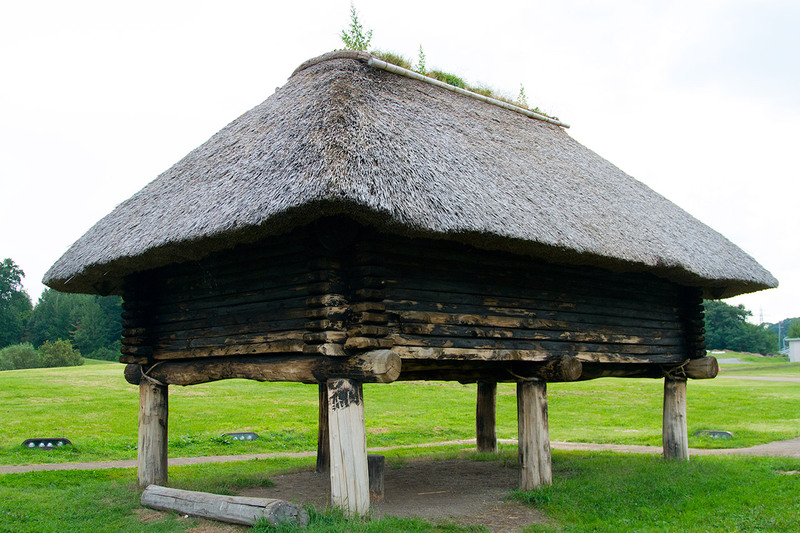 What an impressive wooden structure! If you’re in the area, come check this place out. It’ll give you a different perspective from the “the only history of Japan is Japanese people” narrative. 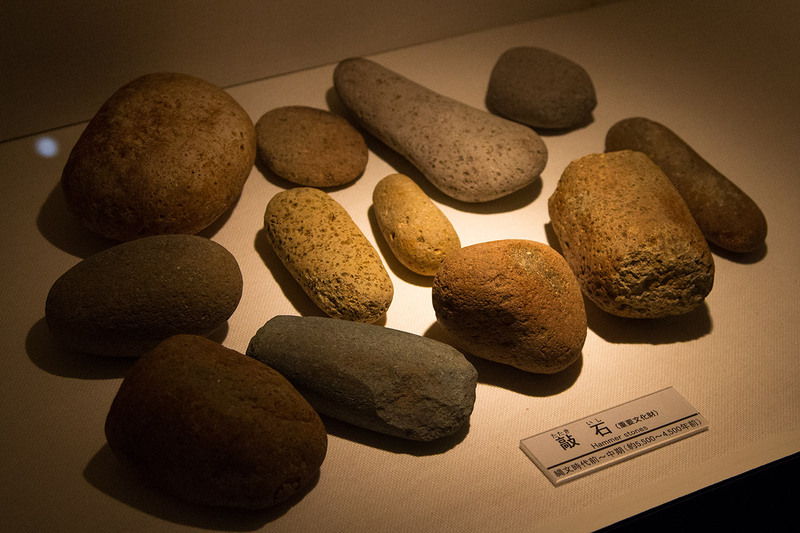 If you're into Japanese history, it doesn't get any more historical than this. 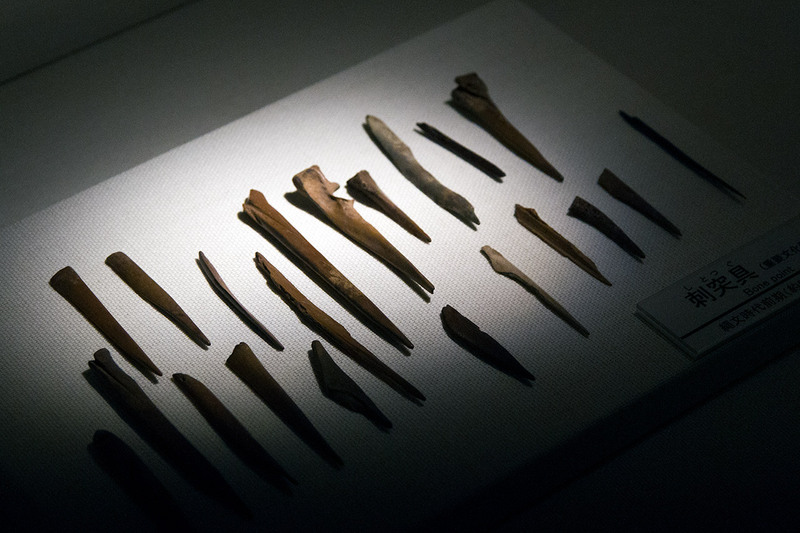 Those that are interested in archaeology will have a great time. 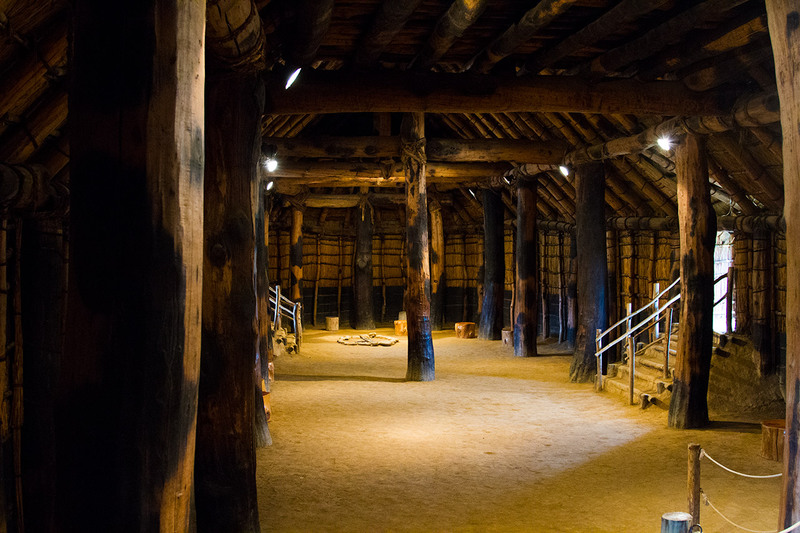 You can see the actual archaeological site, learn about the process, and more. A bus ride away from Aomori Station. You probably won't spend a whole day here. 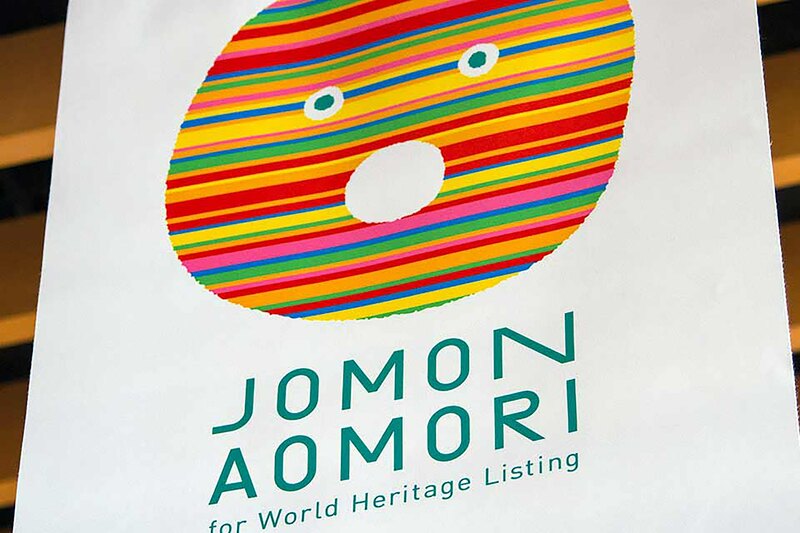 Pair it with something else, like the Aomori Modern Art Museum next door.